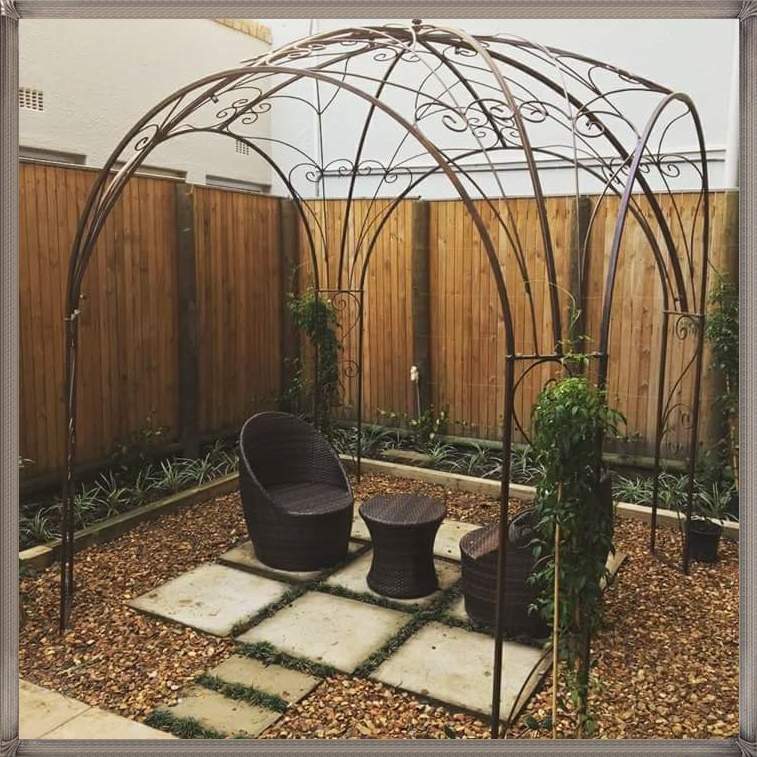 Decorate your garden with the wrought iron Garden Pergola/ Gazebo called Sam Marino extra. With her elegance and style she will be the most unique feature in your garden or patio. Cover it with a climber like Jamine or roses. 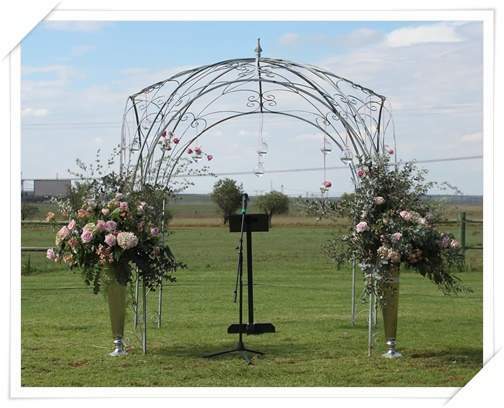 Or keep the San Marino Pergola as she is and let the playfull scrollwork be the focus.